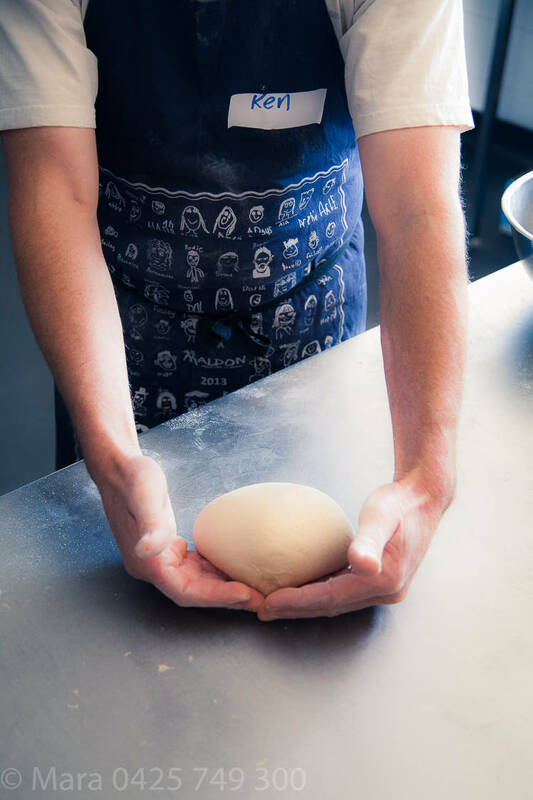 Ken Hercott – bread builder. 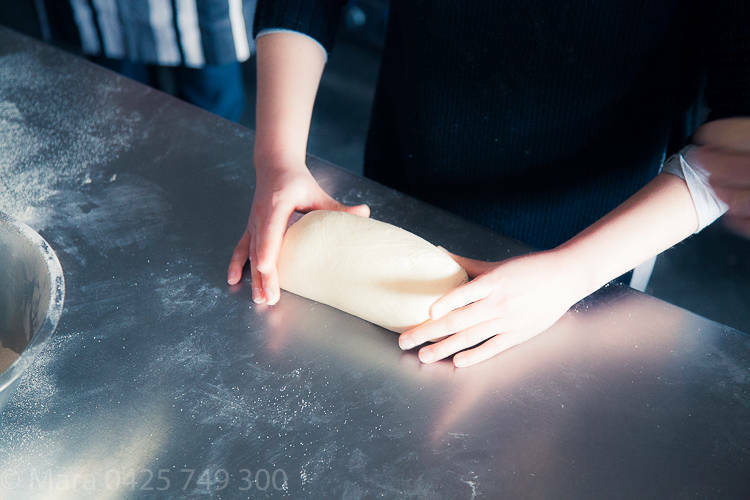 Browse: Home » In the kitchen » Ken Hercott – bread builder. Ken is a friend from the CERES days. 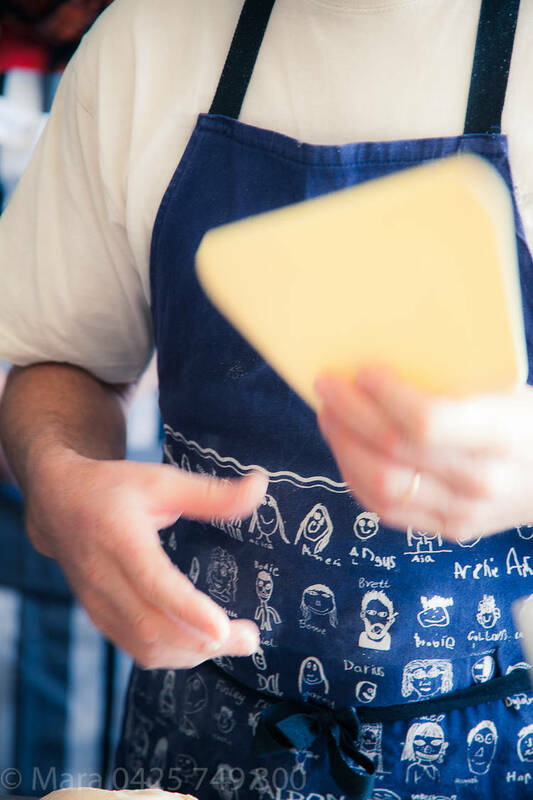 He has spent decades working with bread and calls himself a bread builder. He tells me that bread like buildings needs structural integrity: gluten strands need to link and align. McGee’s book on food and cooking by Harold McGee has some great pictures showing light microscope pictures of gluten strands: aligning. 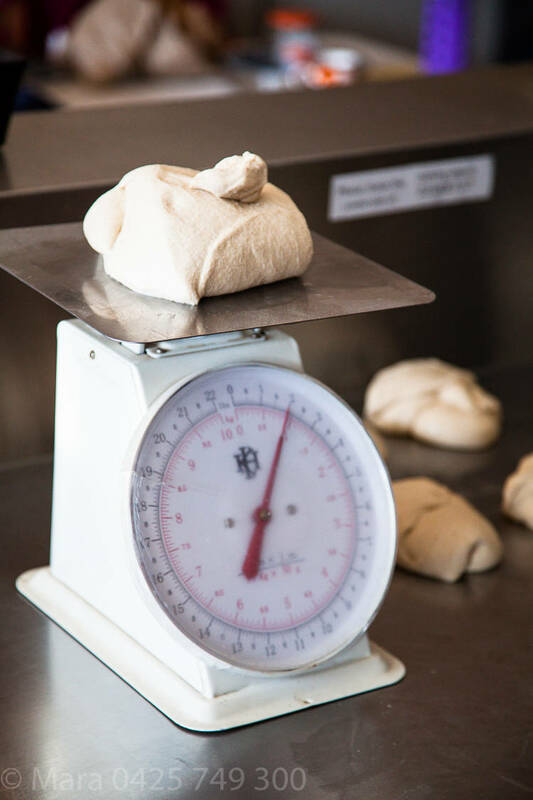 Flour has protein and different flours have different protein %’s. Some whole wheat flours contain 15-17% protein, while some cake flours have as little as 8%. 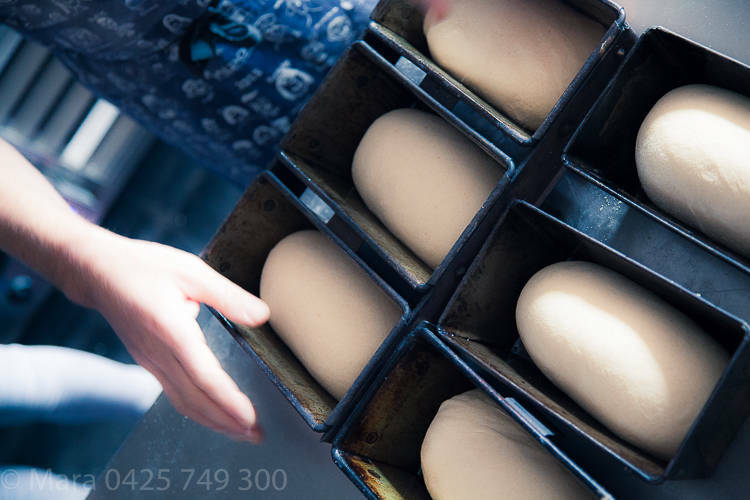 Protein content affects how much water is absorbed by the flour used, hence why wholemeal flours rich in protein absorb more water than white flours with a low protein content. 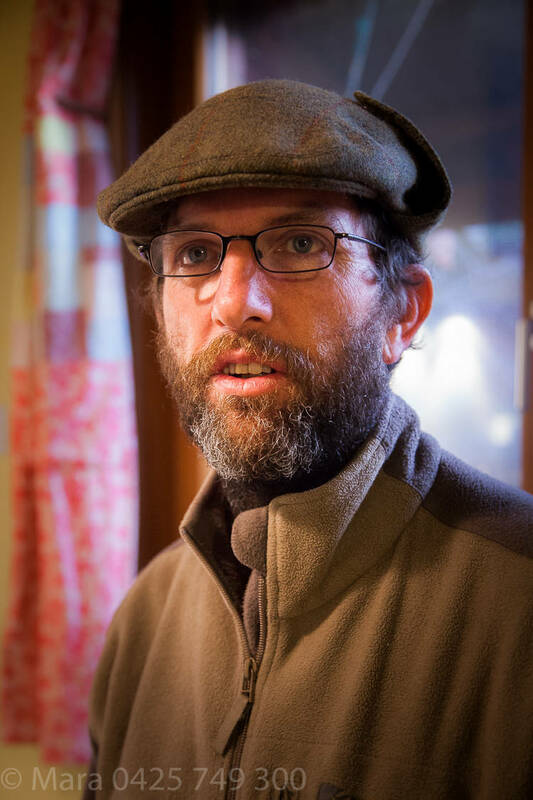 Ken tells me that on his parents organic farm they grew wheat with a protein content of 17%. 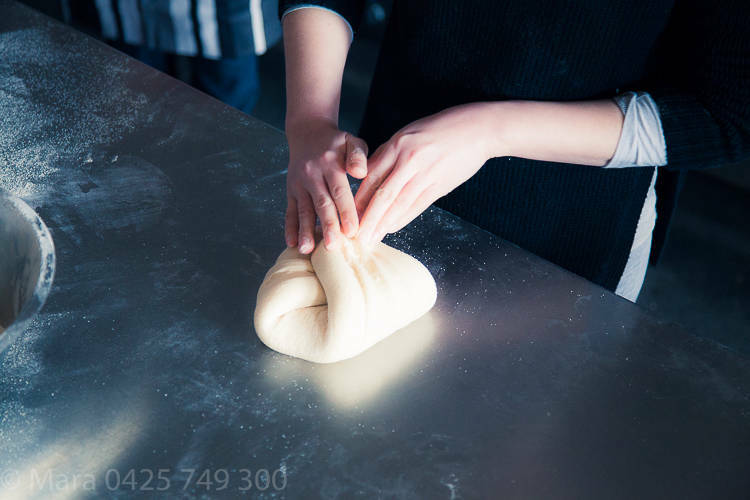 Why he asks, after all the work, time and resources that go into producing a whole wheat, would you want to mill all that goodness (protein, aleurone, germ) out of it? Most us have forgotten the health benefits of whole wheat and naively use white for everything. 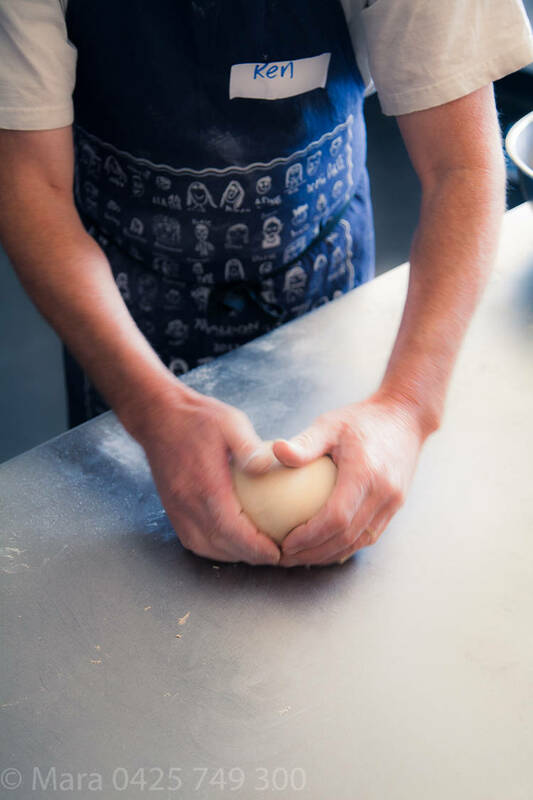 Over the weekend I attended Ken’s bread making workshop at CERES Environment Park in East Brunswick, followed by a lovely one on one session here at my home. 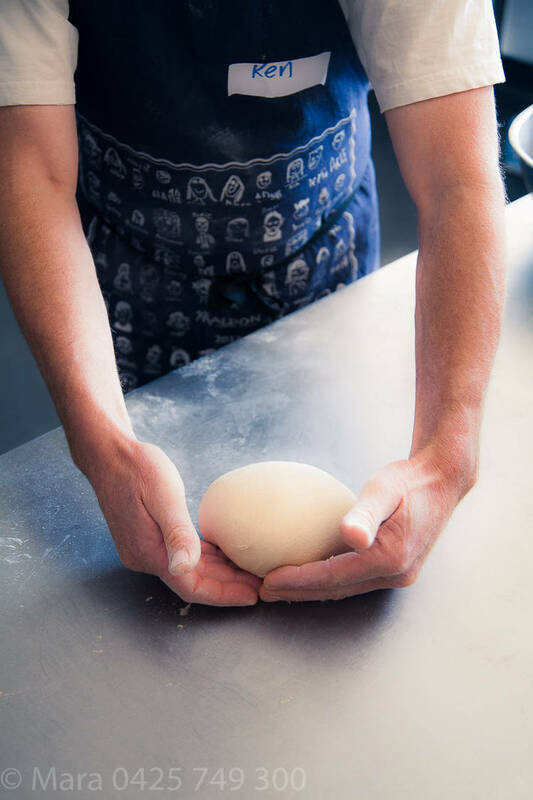 With each bake I learn a little more as I slowly make my way to bread baking leaven. 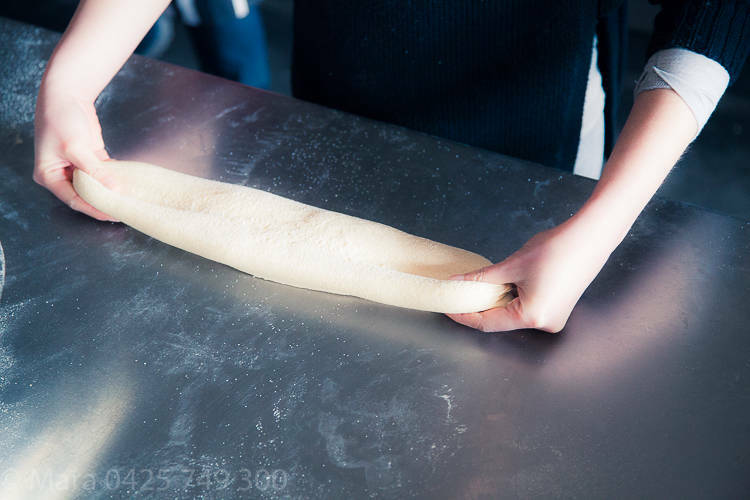 Cut and ready for kneading. 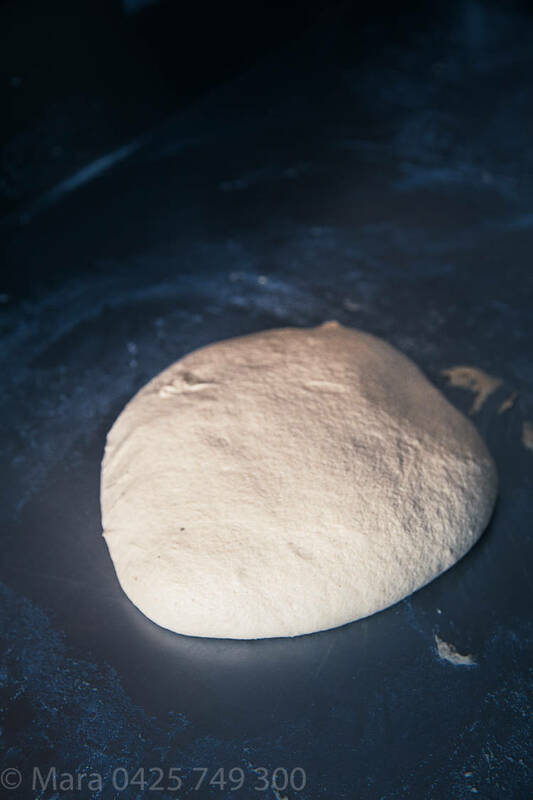 The dough has been kneaded and shows structural integrity. It is holding its shape as opposed to flattening out. There are no tapering edges and that is a good sign. 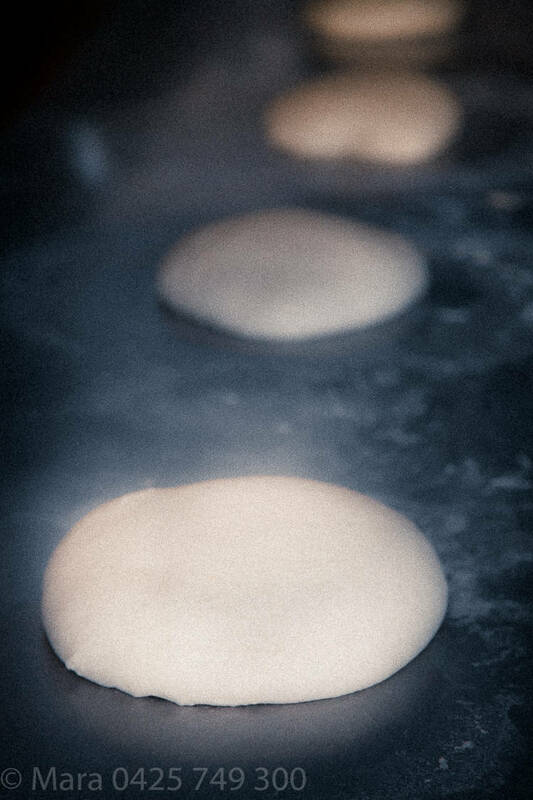 Shaping to form round loaves. 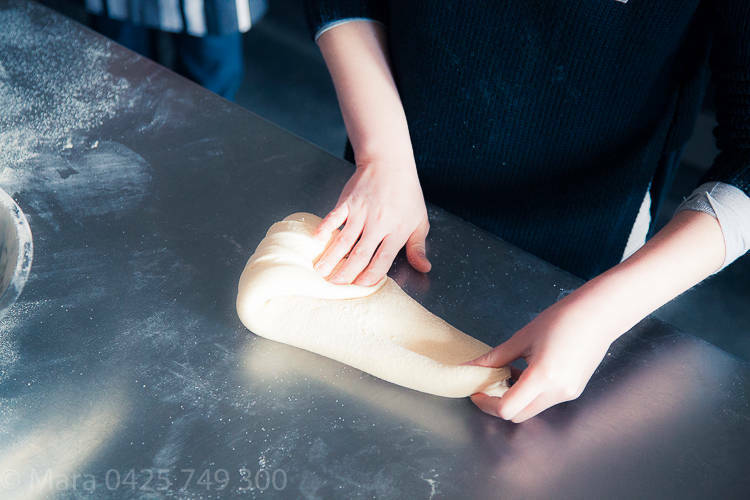 Moving towards the front of the bench, dragging the dough so that tension is created, but careful not to tear the dough. 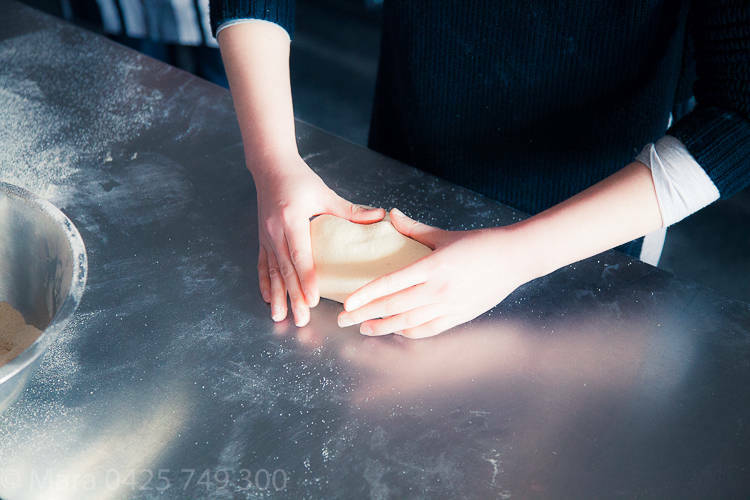 See the position of the fingers and how the palms are not touching the dough. 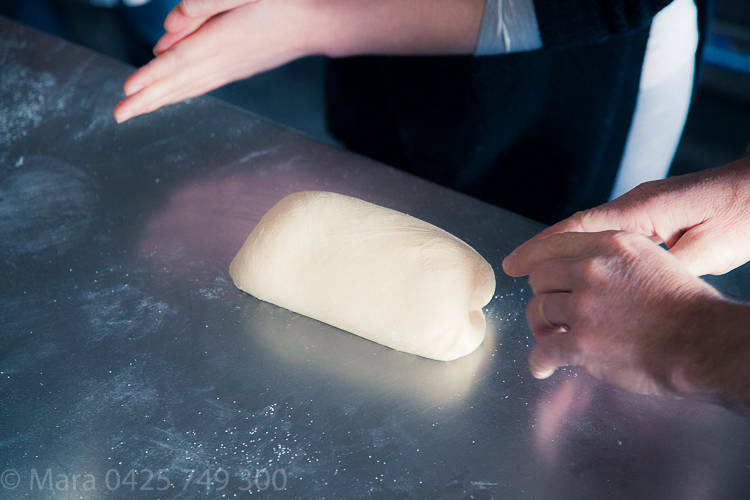 Ken’s shaping skills are fast and efficient and he can shape two loaves simultaneously. 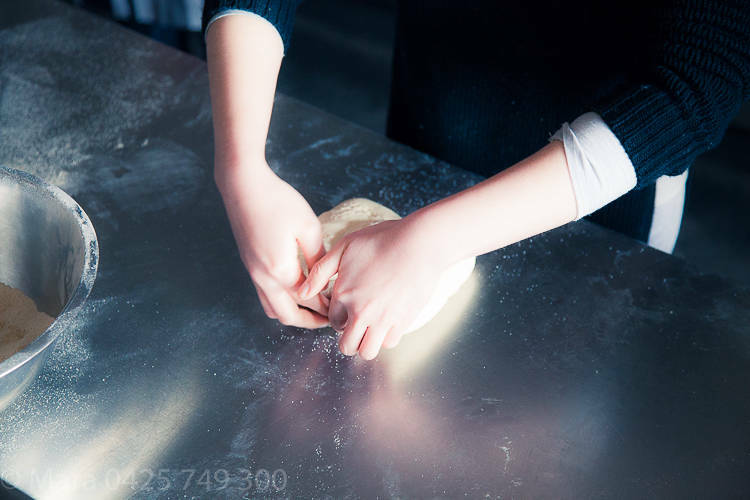 Pick up dough and repeat process if it needs more shaping. Form a triangle. Note the angle of the edges. Fold top edge and then use thumbs to push in the middle. 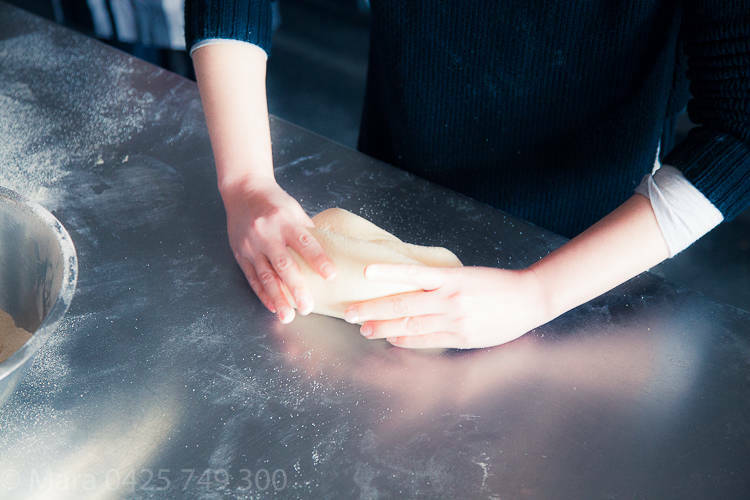 Press down with thumbs while rolling the dough forward. Perfect! 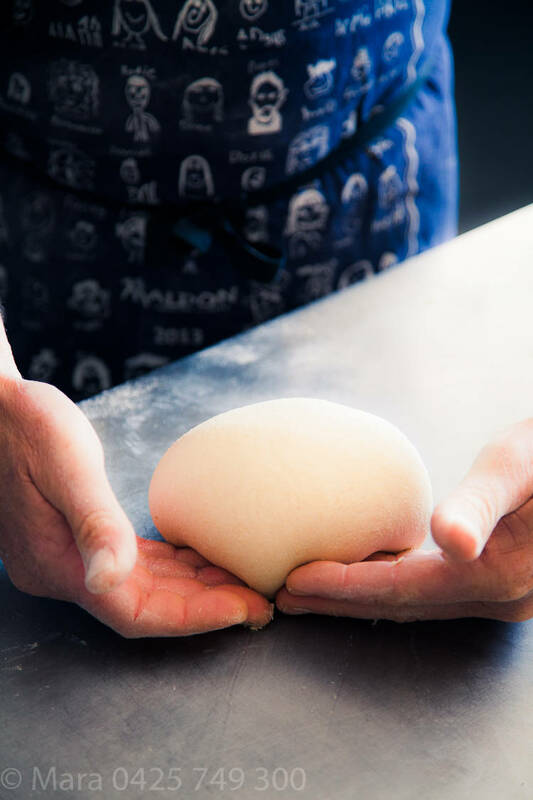 No tears in the dough. Ready to place in tin. 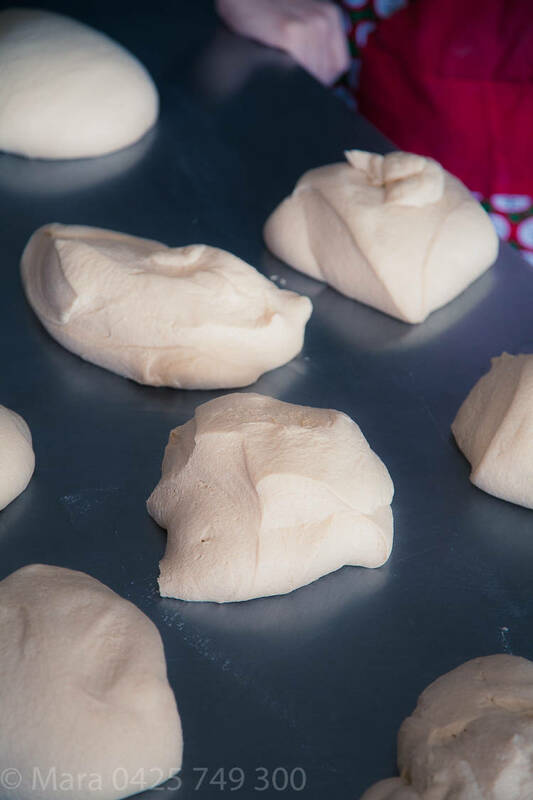 Gorgeous babies: will rest for a few hours to let the yeast reproduce and ferment, to ensure the dough rises in the oven.